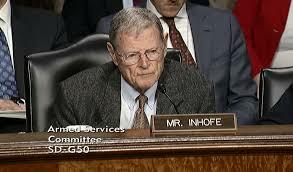 Oklahoma U.S. Sen. Jim Inhofe is trying to get legislation to stop what he calls “activist” states from abusing the Clean Water Act in blocking some energy projects such as gas lines in the Northeast. He and Sen. John Barasso of Wyoming, chairman of the Senate Committee on Environment and Public Works have introduced an amendment to the Clean Act. It would clarify some aspects of the existing law and put guardrails in place and requirements on states as they process requests for certification. The Senator says it’s all in the name of preventing future abuses. “When the United States leads the world in producing natural gas but states in the Northeast have to import Russian LNG, you know there is something wrong,” he said in announcing the legislation. His Water Quality Certification Improvement Act of 2019 would amend section 401 of the Clean Water Act. · Require states to inform a project applicant within 90 days whether the states have all of the materials needed to process a certification request. Representative David McKinley (R-WV-01) will be introducing the companion bill in the House of Representatives.